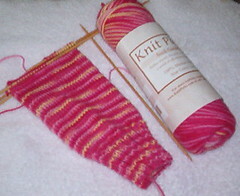 I also started a pair of springy socks yesterday. 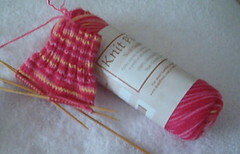 I'm using Knit Picks sock yarn in the Stargazer Lily colorway. I'm so in love with these colors!! They are knitting up so pretty! edited to add another picture of my sock, it's really moving along fast! I love your socks! I have that color and have been wanting to use it. I just might after I finish my current project. 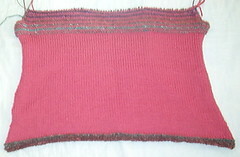 I'm making the Nantasket Basket to use as my sock project holder. ;-) Have a great weekend!